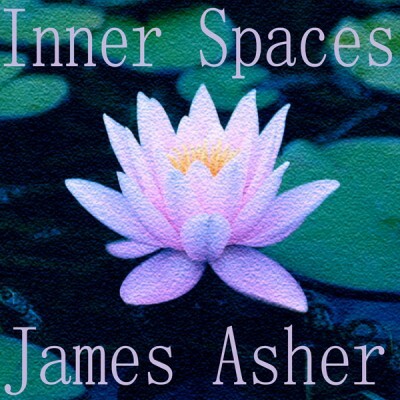 Ambient Visions is proud to continue our series of Artist interviews with our latest entry featuring James Asher. 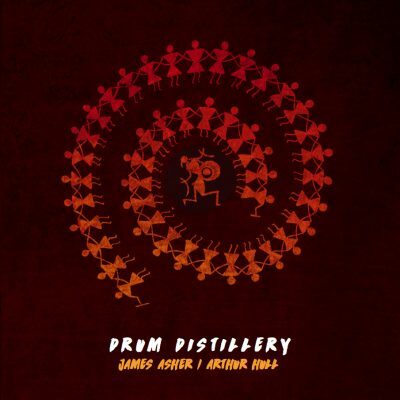 James Asher has had a long and varied career in the music business–his first single was produced by Pete Townshend in 1979, and he went on to return the favor by playing drums on Pete’s Empty Glass album. After writing and recording 23 albums of library music, as well as gaining a clutch of production credits, he has gone on to explore the wider horizons of world music, releasing a series of very well received albums pivotal to it. Reaction to “Feet in the Soil” shows that it communicates to a wide audience, with positive feedback from India, Australia, Austria, Switzerland, Germany and Italy, as well as America and the UK. “People really enjoy drumming, because in an age when you’ve got far too much information coming at you, there is nothing more genuine to get back to than the beat – expressing something on a drum. In America there are drumming circles, and spontaneously at open-air events people will have a jam. It has a lovely quality–there are no rules, and it’s characteristically more American, in being less formal. We could do with more of that in the UK. It’s a lot more gratifying than wondering why this function won’t work with that function in the Utilities page on the PC”. James and I had a chat about how he started off in the business and progressed to the point at which he finds himself today….an international act with fans around the world. 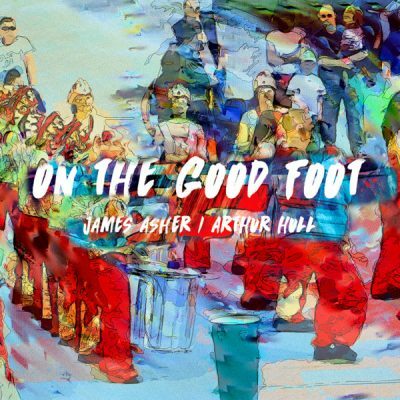 I’m sure you will find it interesting and when you are done reading head on over to James’ website and check out the music that he currently has available. You’ll be glad that you did. AV: You were taught quite young to play the violin, age 7 I believe and then proceeded to teach yourself keyboards and drums, was the violin something that you wanted to learn at the time and what kinds of changes did the entry of music into your life make? JA: I was generally drawn to music, and the violin seemed a way to start. In fact once I started to play it, I realised what a very difficult instrument it is. The formal tuition with grade exams etc was useful in its own way, but contrasted dramatically with my own experimenting with drums and keyboards. This was quite different, and much more based on improvisation and expression. Music was very much in my family – all my siblings played an instrument, and my father taught both the school choir and a small orchestra. So I was very much brought up to think of it as an intuitive and familiar area – as much as the French and German languages my father also taught. AV: How difficult was it for you to teach yourself drums and keyboards? Was it simply a matter of building on what you had learned about music from the violin? JA: This was strange in a way because there was in many senses no connection between the two areas. Of course knowing a bit about major and minor scales gives you a grasp of some fundamental concepts within music, but apart from my father showing me how to play the St Louis blues at about 12, all my keyboard playing was an uninterrupted flow of my own explorations, uncoloured by what the formal response might be to what I did. Drums were so exciting as an idea, and there was a phase where I played violin in the school orchestra, and a few days later drums in a rock trio. I loved the depth of sound of the orchestra, and it was fun to be a part of creating this huge all engulfing sound. Drums was much more about raw energy, but it was completely compelling. I didn’t own a drum kit in the early days, but loved jumping on a kit. In fact probably because of no training, though I’m right-handed I instinctively played bass drum with my left foot and snare and hi-hat on the right. This is normally how left-handed people play. I later found that the idea of a kit is really quite a distraction, you can get deeper into the groove playing one or perhaps two drums. AV: Were you preparing yourself back then for a career in music or had that not yet occurred to you? JA: No at that stage I had no idea it would turn into a professional affair, and was just having lots of fun experimenting. Recording was always a completely magnetic area of fascination. My elder brother had a mono reel-to-reel – the old 7.5 ips jobs. I would be transfixed listening to his recordings of him playing the piano. And of course all the silly things you try with daft voices, crazy interviews and sound effects. It wasn’t until quite a bit later that I bought my first Revox tape recorder, and was able to multi-track by bouncing from one channel to the other. I used to make a lot of recordings on this. It always still ended up mono, so I developed a technique of dubbing off the end result to a good quality cassette deck, and then recording it back to the other channel of the Revox, thus creating a version of artificial stereo. It used to drift like crazy, so you’d have to manually slow or speed up the tape reels to keep it in sync. I was always told this would snap the arm of the vinyl cutting arm, but some of my early library tracks were put on record like this, so it obviously could be done. AV: What was your first experience in working in a studio situation? What were your impressions of the whole process taking music from a performance level and making it permanent in the studio? JA: I learned the studio craft first in a dubbing facility for language tapes. It was then about doing random quality checks on analogue recordings. That seems bizarre now in the light of digital recordings and its ruthless accuracy. Then I worked in a large studio as a tape op (operator). This was largely a disappointment because it was generally such an uncreative process. Producers would analyze successful records and try and copy the sounds or techniques, which was alien to me. I’d see an effect device and get very excited as to what it might produce, or spend ages reversing tapes and seeing what could be got. There was never really a distinction about performance and recording for me. You needed a performance to create a recording, and the two were a joint process. AV: At what point did you decide that creating and performing music was how you wanted to spend your life? JA: I’d done various jobs as a musician like working in restaurants, holiday camps and cruise ships. It’s all fairly thankless as a process that, as you’re often being asked to turn down the volume. At the point where you aren’t any longer the audience are usually too drunk to notice the difference. It was the recording journey that then led me to producing lots of stuff where I was just seeing what you could do. People would say the music would suit films or television – so that’s when I started to explore music libraries and got my first material published. AV: When was it that you set up your own studio and what did you have in mind to do with it at that point in time? Was it more for your own use or did you work with other artists as well? JA: After making my first library albums I sent a tape to Pete Townshend. He kindly encouraged me, and apart from producing a single for me in 1979(Peppermint Lump),lent me a Teac 4-track machine and an Alice mixer. This was invaluable and I made 12 library albums first on the setup he lent me and then with one I bought myself. I went on to make 23 of these. I also went on to play drums on Pete’s solo album “Empty Glass”. I didn’t really have objectives as what I was doing musically then – it was seeing what happened. Selling to music libraries was a way of helping me eat, and if it helped communications about how fast cement could be packed in bags, that was fine by me. It didn’t alter my creative process, and I’d had fun. I’ve always enjoyed working with other artists on and off. It just seems to be the case that most of own work has been originated by myself. Collaborations are not only fun, but invariably teach you interesting new approaches and techniques, as well as just being at best inspirational. AV: Tell me about some of the early work that you did in your studio and what it taught you about the music business in general. JA: I would experiment with things like playing rhythmically along with the speed of tape delays. It was originally one of these tracks that Pete Townshend liked that we made into the single. I had one of the first Jupiter 8 synths in the UK and did all kinds of things with it. A double album of musical sound effects, for example. Again a way to gain a reward from endless hours tweaking and creating sounds. The Jupiter 8 was a glorious device, and it was huge source of inspiration. There was talk of Roland re-making this recently but it would retail, at a ridiculous price like £15,000, so it won’t happen. Sad, it was wonderful. The music business in general was quite a way off in my early days. Library music (or stock music as it’s called in the States) was decidedly the smaller brother of commercial music – a lot less glamorous, and much more about whether ideas had a use than about image or posing. AV: Tell me about the creative process with your music and how it moves from being an internal idea to being a piece of music that you record in the studio. JA: There isn’t a great distinction between the two for me. I work in my own studio, and much of what happens couldn’t exist without the technology, by which I’m surrounded. I love what’s possible with hard disk recording and this has transformed the process for me. It’s not only the ability to move things around, but the whole open ended architecture it offers in the creative process. I like to involve acoustic performances and these bring a soul and life to the compositions which is key to the process. Again the hard disk is a pivotal tool. Where would be without pitch shift and time stretch? For those not technically minded, pitch shift enables being able to isolate a badly sung note in a performance and put it back in tune, and time stretch allows rhythms that started out in quite different tempos matching each other, so that they can stay in time. I can have ideas for a piece out and about or driving whatever, but it’s only when I’m hands on in the studio that it starts to make sense. AV: For those who may be unfamiliar with the process explain to me the difference in the new studios using hard disc recording and the ones that used to use multi track tape recorders. What has it allowed you to do with your music that you were unable to do before? JA: The main difference between multi-track and hard disk is that hard disk deals with virtual information as opposed to finitely placed data. I don’t want to wax dreary with an over lengthy explanation here. The following operations pretty much like any computer aided creative tool easily enable the following:- Cutting and pasting, copying, moving, repeating, fading in, fading out, changing assignment to different tracks (swapping inputs and outputs.) And of course being able to see the waveform on screen greatly enhances the ability to know what’s happening at any stage. You can see a phrase and know why it seems to go quiet at one point and normalise (raise to optimum level) the offending part to match the rest. Seeing a waveform provides a brilliant platform from which to begin editing, compiling etc. Being digital information too means it doesn’t degenerate at all when copied. Most significantly you can perform arrangements of material which are non-destructive of the original takes. These arrangements are just versions interpreting the original recordings. Getting used to the broadening concept of being to handle material in this format is pretty mind-blowing. It has allowed me to integrate in my creative process a staggering amount more flexibility. It’s a lot more meaningful to demonstrate this than to talk about it. I’d advise anybody interested in this approach to get a demo from someone who knows a system. Keeping up with all the myriad versions is tiring. The possibilities and potential also increases as storage capabilities become larger and CPU speeds get faster. There’s a lot of excitement now about M-LAN and FIREWIRE. The musician wants a format he can archive material on and go back to, but the equipment makers ensure whatever you have now needs to be updated regularly. Ah, the two-edged sword of technology, we know it well! I’ve now expanded how I’m enjoying computers in the creative areas. I bought a DV-CAM last year which takes both digital stills and broadcast quality video. I transfer the stills directly into Photoshop, which is a program, at whose depths and power I marvel. And I’ve been learning to edit video inside the PC. This allows the ability to apply all kinds of filters to the video footage. You can rapidly burn up hours of time in this area. Processing of video is slow compared to audio. However it’s totally fascinating, and I hope down the line to produce a DVD. AV: Will technology ever replace shear talent when it comes to creating and recording music? JA: On hearing some of the current chart material one could certainly be led to believe so. There are aspects of computing which if overused become very soul-less. Quantising for example. The ability to drag a beat or note to its nearest mathematically precise position so as to create an even tempo can completely ring the guts out of what might have been a good idea. One of the upsides of the technology being much more freely available and cheaper is that lots of folks get to play with it. This of course means also you’ll get all kinds of levels of musicality and sensitivity playing with it, with a range of highly divergent results. We are also seeing the rise and rise of the DJ. There is more and more new musical equipment aimed specifically at DJ’s. AV: Would it be fair to say that percussion has become your primary form of musical expression and how was it that the drums became such an important vehicle for expressing your music? JA: Yes percussion is definitely the driving force. It’s the groove that creates the framework in which all my melodic ideas join to create the whole. 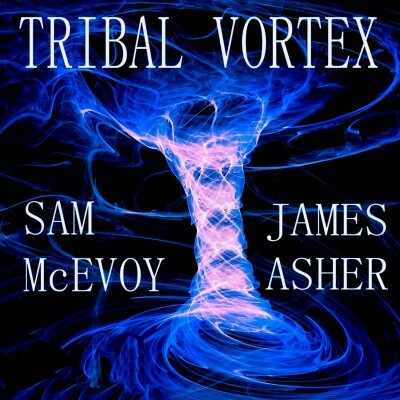 Groove has a relationship to the whole area of trance, repetition, meditation and hypnosis. One view is that by repeating things beyond a certain point, the listener’s mind is forced to jump off to a new place. But rhythm goes very deep at instinctive level too, and has become increasingly an antidote for me to excess information. Losing myself in playing a hand drum gives me a route to shedding all the clutterings and clammerings of a world over-rich with media, and finding a more wholesome space. AV: From those early beginnings how has your music evolved over the years to bring you to where you are now? Was there a point that you could look back upon and say that is where my music began to resemble what it is today? JA: “The Great Wheel” was a departure point for me. This was my first commercially released album. I’d been influenced a lot by Aura-Soma, and especially its charismatic founder Vicky Wall. It was my introduction to many of the concepts of what can broadly be called New Age thinking. I was inspired to hear about the idea of increasing your sense of well-being by an increased awareness in the concept of balance. I was especially attracted to it as it was a school of thought that was delightfully free of dogma, and offered a lot of potential for personal growth in a very nonrestrictive way. Having made a lot of recordings for media purposes etc, this was a fresh avenue for me in writing more with the idea of making a personal expression. So in this way it was a fore-runner of the other commercially available work. I also started a record label at the same time. This was a lot of work and a real eye opener, but in the end I didn’t want to spend my whole time doing administrative stuff, which of course running a label involves, so I returned to the role of artist with some relief. The title track of “The Great Wheel” runs for half an hour. It has a timeless quality and seems to reach a mood of depth and suspension that I know has touched a lot of people. When it was first played on Hearts of Space the distributor Backroads had 400 ‘phone calls asking what it was. This was how I came to have my first release on an American label (Music West). AV: Tell me about your involvement in World music and could you give us a definition of just what constitutes World music to you? JA: Well World Music like the term New Age carries all sorts of different meanings and connotations. I’d always much enjoyed different material musically from a broad range of sources. My own first entry into the area was my album “Globalarium“. It was decidedly an attempt to mix and intermingle different cultures without boundaries. I’m aware that some people feel cultures should be kept intact, and given respect and encouragement to preserve their uniqueness. At the time of “Globalarium” the Gulf War was happening, and there was a lot of very dark energy around it, especially in terms of the greed it reflected, and the political manipulations around it. There was a sense of being suffocated by the murkiness of it all. It made one hanker for fresh air and a sense of integration. My view of world music is pretty much like the same thinking that goes into cooking. You can combine spices with various degrees of success but in the end your sense of taste tells you whether they blend. Music is of course in some senses glorious as a universal language, and has the marvelous ability to transcend barriers. But it can be easier to enjoy the ethnic elements within the music if they are fused with accessible and instant grooves. This to me is an expansion of the process, not by any means a dilution. AV: Could you give me an idea of what space music is and why is that another major area that you are drawn to musically? JA: Space music is music that helps build a space for you to be within. I’ve already referred to “The Great Wheel” as my starter in this. “Dance of the Light” is also one of my own favourite albums. It was originally composed to accompany meditations from Aura-Soma, but I felt the music stood well in its own right too. It’s an area I still love and will be doing more in this style when the the timing is appropriate. You can tell the value of this kind of music from the quality of the response and feedback you get. It’s great to feel you helped someone achieve a sense of warmth and peace, and in the face of current life achieving that is no mean feat. AV: Is there a mindset that you have to be in as you work with the various types of music that you do? Is there anything that you do to create that mindset within yourself before starting work on a new project? JA: Energy and enthusiasm are the keys. The hexagram in I Ching that talks about this – number 16 – does this much more eloquently than I could. There has been much written about the process of composing and its mystical aspects. Most composers have various routines which they adopt really out of practical need to achieve a flow through, but inevitably there is a jumping off point where something extraordinary happens that you can’t define. The point where you leave the framework of order and structure, and magic happens. Unfortunately there’s never an easy thread to take you back to the same point in the labyrinth, and you can only follow your best instincts in the hope of further alchemical transformations. AV: Tell me about your project Feet in Soil? What does the title mean to you and how is that expressed in the music that you chose for this project? JA: “Feet in the Soil” was a phrase that came up when I was discussing the music on the album with Rory who played didge on it, and also designed the original image for the cover. He was at the time graphic designer for Aura-Soma. He was given a djembe as a birthday present and we thought it would be fun to try it out in the studio. Mike Booth who runs Aura-Soma heard what we’d done and loved it. He suggested we create an album of an upbeat nature, drawing on the resources of people associated with the Aura-Soma family. It was recorded during an amazing heatwave that lasted for ten weeks. Unusual for the UK -more known for its endless grey and rainy days. Something of this energy made its way into the music. “Feet in the Soil” means it’s a joy to be earthed, and that grounding is as much part of the spiritual process as the more esoteric and airy aspects. Vicky Wall said “it’s no good being heavenly if you’re of no earthly use”. As an album it’s been used in a variety of contexts, including workshops about motivation and the like, and somehow the original energy that went in does translate to the listener. It’s recently been fun to complete the sequel which went out very recently, and to re-explore the same philosophy with the sounds and possibilities that are around now. AV: Since you brought it up, “Feet in the Soil 2” has only recently been released here in the U.S., could you tell us why you decided to revisit the “Feet in the Soil” idea from the earlier release of the same name? JA: “Feet in the Soil” has met with a broad and positive response. I thought it would be interesting to re-explore the underlying theme again in the light of how things are now – five years later. In fact though they both relate to the theme of earthiness, the music is quite different in many ways. The drums are different – I didn’t own any of the current ones during the previous recording. Also the new expanded track capability, and the addition of the groove-box family in the studio has broadened my frames of reference. Also to anyone with a creative sensibility five years is quite along time -so though it might be hard for me to define exactly, I’m aware of having moved on as an individual. It would be scary if I hadn’t! AV: When you do a CD that is derived in part from a previous CD is there a danger of duplicating ideas instead of exploring new ones? How do you keep this from happening? JA: Really it’s mostly only the title which is the common element. It would be highly unlikely if I were to tread the same paths again because part of my whole mechanism and way of working is that of being propelled by what feels genuinely fresh. Musical ideas and their evolution are like organic entities. They’re born out of enthusiasm and there’s a supporting energy that carries them through to completion. This is why it can be a mistake to leave an idea incomplete for too long. Sometimes you lose the sense of what it was about, and your personal relationship with the idea can become too distant. Much like leaving a plant unwatered for too long. It’s also interesting when someone else takes up your previous work and takes it further. Like the Chemical Brothers taking my track Asian Workshop from an album made in 1980, and developing it into “The Sunshine Underground” from the last album. It was a nice surprise that this was the number one album in the shops here when I returned from my last American visit. Equally how the DJ’s expanded “Tigers of the Raj” in the remix album “Tigers of the Remix” was a revelation too. Going back to “Feet in the Soil 2“, Rory playing didgeridoo is a common theme, as is the singing by Mike Booth. But otherwise the other musicians and overall feel seem quite fresh and different. AV: Do you have any plans to explore the soundscapes that are possible by using 5.1 surround sound technology? When composing music for this kind of platform what do you have to consider that isn’t considered when recording a regular stereo release? JA: Surround sound is a really fun idea, and I’m really looking forward to it. There are several things that need to happen first to really bring it to life. A common standard needs to be firmly established – how many speakers are we going to settle for – 5,6,7 or maybe 8? It’s primarily driven by movies and their needs – hence the weighting towards the centre speaker for dialogue etc. Obviously music doesn’t necessarily have the same needs or aptitudes. Then in terms of software we are just seeing the beginnings of programs specifically written for this medium. Like reverb programs intentionally drawing the most intriguing perspectives out of this framework. Potentially there are some amazing capabilities by having such a large audio environment within which to work. I look forward to starting work in this new medium – probably in the next two years or so. By this time there will probably be instruments that have outputs in surround. AV: You have made several visits to the States over the last few years. What do you enjoy about these visits? JA: There is an infectious enthusiasm in the States which has a great charging effect. Compared to the English who are quite a stayed and withdrawn people, Americans are very outgoing. This makes for a lot of fun, as especially there isn’t a sense of needing to waiting ages to get to know new people, and lively exchanges come about swiftly. Sometimes living on a small island like the UK, you forget how your reality differs from the rest of the world. There are loads of very talented people in the UK, but it’s also the champion ground for eccentricity in many ways. We can also be just plain stuffy. One of the other main things that always strikes me too on American visits is how on the case the concept of commercial service is. Like the ingrained awareness that if you can’t provide folk with what they need someone else can and will. We could use a load more of that spirit here. AV: Tell me about your involvement in drum circles and what kind of fulfillment that brings to you musically and spiritually? JA: This area is fairly fresh to me, so I’ll be able to talk much knowledgeably about it in a while. However what has struck me so far is what a wonderful base for communication the drumcircle offers. It’s not about everyone needing to be skilled, and virtuoso needing to shine within it. It’s about having fun and the energy and feeling created by sharing that experience. I can see why it’s been such a great tool for breaking down barriers between different groups and levels within corporations. I can see why it has helped tense situations like the Peace Process in Ireland. Communities have often become quite disparate affairs with all kinds of factors that alienate individuals and groups from each other. When you see someone as masterfully playful as Arthur Hull facilitating a drumcircle, you can see very quickly what a great tool for unity this can be, and how active shared fun of this kind rapidly builds invaluable bridges. A good analogy in fact for how the world might benefit from approaching life. Musically it can also yield good things. This is what I’ll be exploring. AV: Tell me a little about your work with Madeleine Doherty on the “Colours of Trance” CD. What do the colors represent and how does it all fit in with trance? JA: This project was instigated by Mike from Aura-Soma. He suggested Madeleine and I get together. We initially met for a weekend and had a lot of fun. Madeleine is a wonderful musician and has a great sense of humour. She also has her own very original slant on matters mystical. I call her Radio Fairy Fingers! So a little later we met to create The “Colours of Trance” project. We had some guidelines from Mike as to aspects of the colours he wanted to be brought out, and he also expressed a desire for it to have elements of contemporary dance music. Obviously harp is not the first instrument you’d think of in a dance context, but Madeleine loves rhythmic material, and the music just seemed to follow its own course. There is quite a range of moods and styles within it, and the contrast between the space anthem quality of Emerald and the full-on stomp of Coral is pronounced, for example. But then you’d expect music that covers the differing parts of the spectrum to offer a wide range. Aura-Soma has a whole interpretation and approach to the significance of colour. For anyone interested they have a good website at www.aura-soma.net. Trance as a concept covers a lot of ground. Gabrielle Roth’s understanding and treatment of this area is one I much admire, but I also know it can be a term applied to much more gentle music. It’s like what I mentioned before about the point at which the mind is encouraged to shift gear and move on elsewhere. Trance is about pathways to gaining access to the deeper and more instinctive pathways of the self, and transcending the over restrictive sets of programming and control that block up our psychic arteries. AV: What was your first exposure to what is now called the internet and did you have any idea at the time of just how this might impact your music in coming years? JA: My first entry into cyberlife was about five years ago. I had no idea what would develop specifically from this new medium, but clearly anything that has such broad global connectivity at its base had to become something potent and extraordinary. I still feel there is a very long way to go with all of its workings. Despite its huge growth over the past while, many people feel quite threatened by it, probably through just not understanding. The upside is how freely available anybody can gain more information about a subject that concerns them. The downside is by the linking of databases it will be very easy to feel very vulnerable as to how much personal stuff is known about all of us and our habits and likes/dislikes. The concept of real privacy becomes increasingly a vacuous idea. AV: Does the internet allow you to have a closer relationship with your fans and the world in general? JA: The internet opens up all kinds of connections, and of course it’s becoming a significant way for people to discover music they like. Internet radio is still in its infancy but I can see that developing strongly. One of the key differences here in the UK is our local telephone call charges are not free, and if you’re aware you’re paying to be on the net all the time, it certainly curtails your patience and enthusiasm for general browsing. Just at the start of this year I got my ADSL connection. This means access at 576 kbps instead of 56. So quite a dramatic change and even sites with larger graphic are greatly quicker. This is done on a flat fee basis, so it’s a lot less inhibiting in feeling free to browse at length. I’ve enjoyed getting the website up and since its beginning in March of last year it’s seeing some steady growth. But a website is like anything else totally subject to the needs of marketing. It is a pleasingly broad concept that you can present what you have to a global audience and that they can respond. AV: What should we be looking for from you in terms of new releases over the next year or so? JA: It’s hard to know exactly what will transpire from a process where you are trying to maintain contact with the organically fresh parts of your own creativity and receptivity. Looking at the projects I’ve already done, I think it’s clear that this is not a formula driven or predictable path. I’m hoping something constructive will come out of my interaction with the drumcircle stuff and congenial contact with Arthur Hull, though I’m not going to pre-empt what form this may finally take. Staying in the moment with these kind of projects is the key to being genuinely receptive to what’s on offer. I’ve also intimated my desire to return to more space music – surround sound intended space music? Sounds fun. AV: To close out this interview, do you have any thoughts that you would like to share with your fans or last comments about anything in particular? JA: My website will always carry news of new releases etc., and it’s actually the only place of which I’m aware that carries all ten of my commercial albums for sale. It also has my e-mail address, and I’m always happy to receive mail. 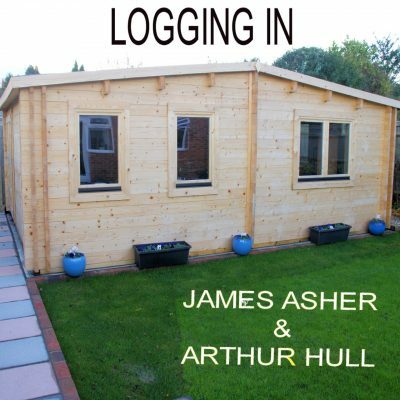 The address is www.james-asher.co.uk. I’m fascinated by the web, and feel sure it has many quantum jumps to make in the next short while. Once the bandwidth increases it will be phenomenal what will transpire. This article was reproduced with permission from Ambient Visions.